Two iconic 'Fives' come together to create a wonderful concert. Beethoven's masterful 5th Piano Concerto, written at the height of his powers, features inventive themes, orchestral brilliance and pianistic fireworks! 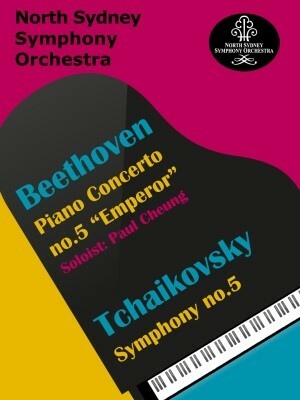 Beethoven himself did not coin it the 'Emperor'; this title was added by his English publisher. However, it perfectly captures the majesty and scope of this work. 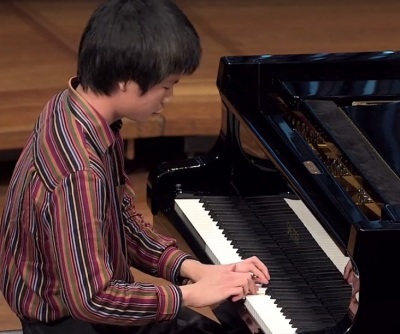 We are excited to be joined by Paul Cheung for this concerto. One of Sydney's most in-demand accompanists, chamber musician and soloist he has won numerous awards and scholarships and has played with many major Australian orchestras and ensembles, including the Sydney Symphony Orchestra. Tchaikovsky's Fifth Symphony is another work that almost needs no introduction. It has been a firm concert favourite since its premiere in 1888. It features a recurring theme that emerges, in different forms, in all four movements, as well as a host of other famous melodies that bring to mind Tchaikovsky's brilliant ballet scores. Note this concert is on a Saturday evening, at the Verbrugghen Hall. For more details on this venue, and parking options, see the ' venue' section on our concert page.